Confined to their villages without employment, villagers dwelling in the vicinity of protected forest reserves would either resort to destroying the natural reserves or seek jobs elsewhere. Fortunately, all that is a thing of the past with ecotourism coming to their rescue, discovers Stella Paul. Spread across a vast expanse of land, 80 km to be precise, it is probably the last undisturbed Western Himalayan ecosystem. At the Great Himalayan National Park (GHNP), the landscape is pristine and cascading mountain rivers flow gently, with slight murmurs. Easy to trek on, each path in the forest offers a breathtaking view of the towering, white snowy flake peaks of Pin Parvati. 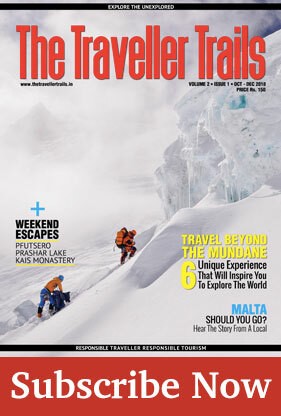 No wonder then, for trekkers and tourists, the tiny hamlets of Goshaini, Guntrao, Shilt, Shakti, Dhel, Neuli, Lapha which dot the mountains of Kullu in Himachal Pradesh, provide the much needed respite they look for from the mundane vagaries of urban life. Ironically though, in their quest for the calm beauty of the hills, they end up polluting it with plastics, garbage, adding potential fuel to the raging wildfire in every dry season. Apart from the visitors, even the locals contributed to destroying the eco-habitat in their region. Till recently, umpteen tales of jobless youths resorting to looting forest wealth were frequent. In a way, they couldn’t really be blamed though. In 1984, the region was notified as a national park which restricted the freedom of movement for the villagers. It also meant that they could no longer collect forest resources such as fuel wood and Gucci, the delicious but rare wild mushroom GHNP is famous for, with the same ease that they would earlier. The villages, though picturesque, provided few livelihood opportunities owing to their remote location. Added to this was the fact that almost the entire Sainj valley lies within the GHNP. For years, locals had to migrate to cities like Manali to find odd jobs or grow cannabis, albeit illegally. Some even joined the poachers, to make a fast buck. The impending factors led to an initiative by those who not only wanted to protect the sanctity of the hills, but also provide jobs to tho se who needed them. 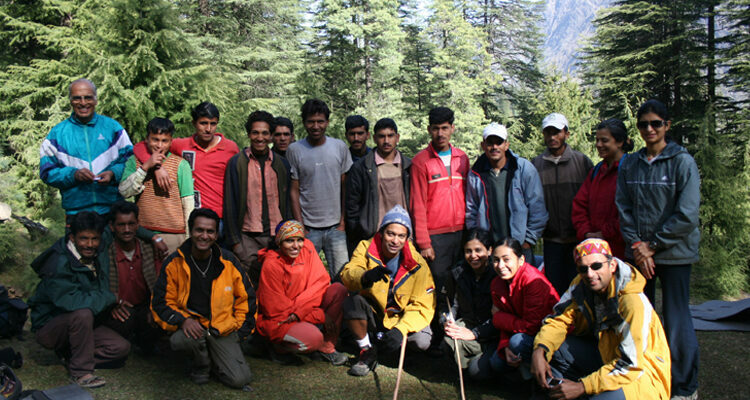 One such instance is that of Ankit Sood, owner of the Sunshine Himalayan Adventures, a group that introduced the concept of ecotourism in Himachal Pradesh. Alongwith contributing to development of the villages, Ankit felt that the involvement of locals could also help increase the tourist inflow. 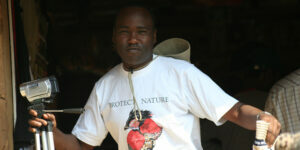 “I realised that ecotourism could be the most effective tool to address issues like poverty and unemployment. Also, it was the only way in which we could involve communities in conserving the environment,” elucidates Ankit, also a lecturer by profession. 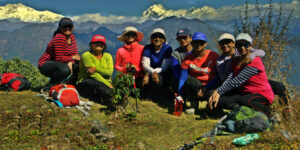 Today, his Sunshine Himalayan Adventures boasts of about 30 youths, who act as guides and porters to the trekkers, biodiversity study groups, bird watching enthusiasts and wildlife photographers. From organising a trek to helping the visitors spot a rare ‘Ibex’ or a butterfly, to picking up plastic wrappers even while they walk, to mending a broken bridge or reporting any illegal activity within the forest, this brigade is doing all it can to save the forest. As a result, Sainj and valleys such as Tirthan and Parvati in Kullu have managed to keep their youth at home, but not without jobs. Takeram, in his early twenties, remembers how his job as an office boy for 16 hours in Delhi would fetch him Rs 4,000. Now, in his own village, he’s earning Rs 6,000 every month. ‘Since the treks are organised all through the year, there’s no dearth of work. Officials of the forest department also know that they can rely on us,” reasons Takeram. However, there are risks involved, especially of facing the ire of the illegal hunters, who live within their villages. Raushan of Shakti village recalls an incident where he had discovered a huge cache of arms within a cave. But, since the cave was a seat of the village deity, it took a lot of persuasion for the cache to be handed over to the forest officials. Owing to the courage of youngsters like Raushan, GHNP has been able to protect its once dwindling population of avifauna, including the ‘Western Tragopan’ and ‘Monal’ – a Himalayan bird found only in the Kullu region. Now, the cases of poaching are rare, a record few other national parks can claim. Local participation has also raised the level of eco-consciousness. For instance, ‘Guchi’, priced at Rs 5,000 a kg, is the most expensive variety of mushroom in India. The lure of money once led many villagers living around the park to randomly collect the mushroom, mostly through illegal entry. Now, due to vigilance by eco-groups, the villagers do not try to strike a desperate deal of Guchi with tourists. Visitors also get influenced by the commitment shown by these ecogroups. As a result, those who throng the park now prefer local homecooked food served by the trek organisers, consisting of locally grown vegetables and easy to procure forest products such as edible fern instead of pre-packaged food from cities afar. Once a month, a special ‘clean the forest path’ event is also held, where every piece of nonbiodegradable product like polythene bags is collected. The growing awareness about medicinal plants can also be attributed to ecotourism. Just like its diverse fauna, Kullu region and GHNP have a rich reserve of flora, especially medicinal plants. Labburam, now one of the most senior guides, has an amazing knowledge of the medicinal plants and how they should be used. During a trek, if a tourist falls sick or has minor injury, Labburam plays the role of a vaidya (doctor) with ease. “These days, many tourists show interest in the herbs and the medicinal plants. Some even take back saplings and roots which they can grow,” explains Labburam. Akin to Kullu valley, ecotourism has been gaining ground in the mountains of Garwal Himalaya, Uttaranchal as well, especially in the Nanda Devi mountain region. However, here, ecotourism was chosen to end the growing unrest among local communities. 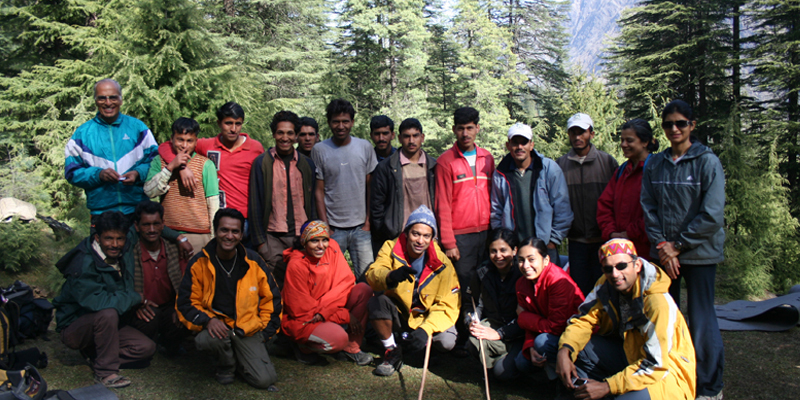 The unrest in Garwal began with the creation of Nanda Devi Biosphere Reserve (NBDR) in 1982. Breathtakingly beautiful, the 2200 sq km of Himalayan wilderness surrounding the sacred Nanda Devi Mountain is home to 1,200 tribal residents, mainly ethnic Tibetans, known as the Bhotiya, living in nine villages. Access was denied to all and there was a ban on harvesting, grazing, hunting, trekking, and mountaineering in the area. However, this meant near starvation for the villagers, who were totally dependent on forest resources for their livelihood. Then, in 1988, the park was on the United Nations World Heritage list and in 2001, it re-opened for tourism. However, the authorities chose the Indian Mountaineering Foundation (IMF), to organise treks and tourism activities inside the restricted core area of the reserve. This led to strong protests by the Bhotiya community who were denied the right to access in the reserve. In 2003, when protests began to threaten peace, the local villagers were allowed limited access and explicit management rights to trekking in the core zone. Soon after, villagers from nine villages falling within the reserve and a local NGO Alliance for Development, convened a conference on community-based conservation and ecotourism. Consequently, the conference became a platform for asserting the rights of local people to manage tourism in the NDBR in a sustainable manner. Now, the villagers are pursuing community-based ecotourism to use local resources, to earn income and preserve local culture. In this, they are being trained and funded by the Ministry of Environment and Forests and the United Nations. At a time when the entire region of Northeast is struggling to find a way out of rising insurgency, unemployment and poverty, a brigade of youths in Dibrugarh, (Assam) have shunned violence and resorted to ecotourism. In Rangagora, which falls under the Dibru-Saikhowa National Park, over 20 youngsters have united under a banner called ‘Wave Ecotourism’. Initiated by Dhaneswar Neog, once an illegal hunter and smuggler and now a die-hard conservationist, the group organises eco-camps for conservation enthusiasts “I have learnt through my interactions with the tourists who come from different backgrounds,” reveals Neog. Fresh catches from the Brahmaputra River are cooked with locally sourced vegetables over firewood in these camps. Some of the youth who are expert boatmen, take the campers on a boat ride through the park. Since these youngsters are thorough about the Dibru-Saikhowa National Park, they make excellent tourist guides. Now role models for their villages, these youths have shown business acumen by constructing thatched cottages for tourists. When the massive inflow of tourists caused severe damage to the environment, the Sikkim Biodiversity and Ecotourism Project was launched in 1996. The project was a joint effort of G.B. Pant Institute of Himalayan Environment and Development, Travel Agents Association of Sikkim (TAAS) and locals NGOs, Green Circle and the Khangchendzonga Conservation Committee. The major area of the project falls within the Khangchendzonga National Park – home to 400 species of orchids, 80 mammals, and over 300 species of birds and butterflies. Also the world’s third highest mountain peak (8548 m), it is revered as the protective deity of Sikkim and houses the Dubdi, Sikkim’s oldest monastery. A number of ethnic groups, including Lepchas, Bhutias and Nepalis, as well as Tibetan refugees, live in this area. The project’s aim was to conserve the local flora and fauna, while providing the ethnic communities a livelihood. And, that seems to have succeeded. Today, the ecotourism project has expanded beyond Khangchendzonga National Park to Kecheopalri Lake and Pelling, a settlement near Pemayangtse Monastery. With local communities coming together, the respective mountain villages and valleys have transformed into ecologically sustainable tourism hubs. In 1996, before the project in Sikkim took off, a special workshop was organised for the locals. Each participant was asked to “dream” and think of what the best vision of his park might be in ten years. Most responded saying they wanted to see more forest cover, a litter-free forest trail and better income from tourism. With its focus on environmentally sound practices and generating widespread economic incentives, ecotourism is gaining ground. From being a picture of gloom, it has metamorphosed into an inspiring tale that most others can take a cue from. Stella Paul is an international award winning journalist.